. PROMATE Over Ear Headset with AUX Support and Playback Controls. PROMATE Over Ear Headset with AUX Support and Playback Controls. PROMATE Over Ear Headset with AUX Support and Playback Controls. Lightweight cable free design. Built in MIC. Passive noise cancellation. Colour Black. Experience a remarkable musical fiesta with Tempo-BT. Connect Tempo-BT to your devices wirelessly and through traditional wires. Tempo-BT includes all the must-have specs needed for an excellent pair of headphones. Tempo-BT is embedded with passive noise cancellation technology along with advanced protein leather ear cushion to provide an optimum comfort fit. Its classic, simple metal and leather design will never fail to make a style statement wherever you go. With music play time of up to 5hrs, take Tempo-BT practically everywhere (including long flights) and listen to non-stop music. Tempo-BT also supports in-line music function and built-in mic function, thus, pick up calls whilst listening to music. 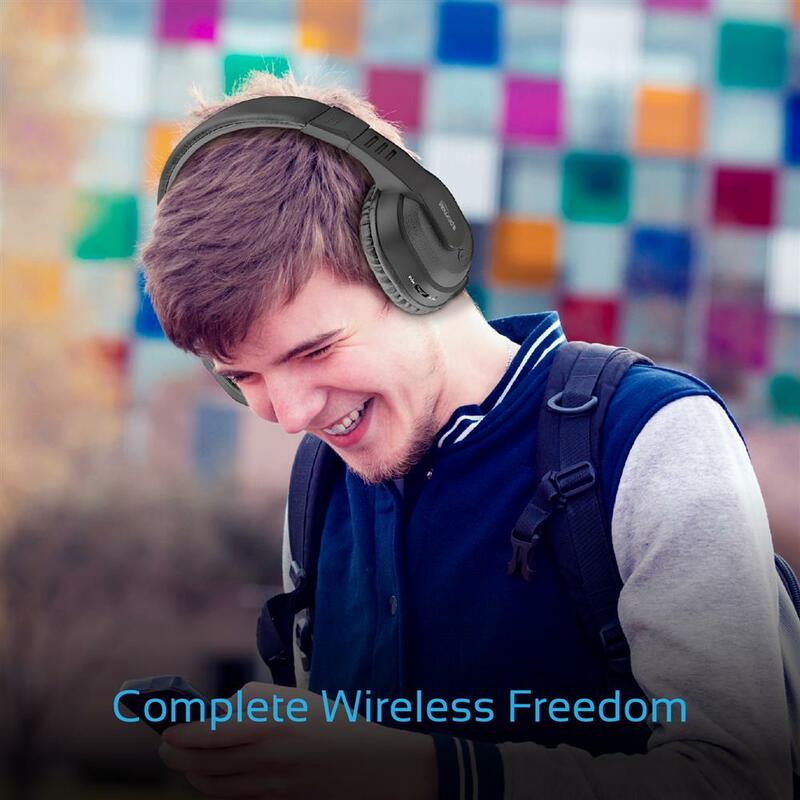 This power packed wireless headset is the ultimate set for all music fanatics. WIRED MODE: Use the headphones with the provided audio cable once the battery runs out, so the headphones will never power off. Tempo-BT is designed with thousands of people’s ear data which makes it a perfect fit for all Ear shape and size along with providing a stable and secure fit for even strenuous exercise. Tempo-BT has all the music navigation controls built-in on the headset itself. It has a call pick-up button; volume rockers and forward/rewind buttons are combined in a single rocker making it a breeze to control your music without even touching your phone.